In the last stop of our tour of Milan we accompanied you around the Quartiere Isola, a magical place that matches tradition and innovation. Today we’ll leave again, this time in the direction of Porta Ticinese and the Navigli, where history meets fun and nightlife. 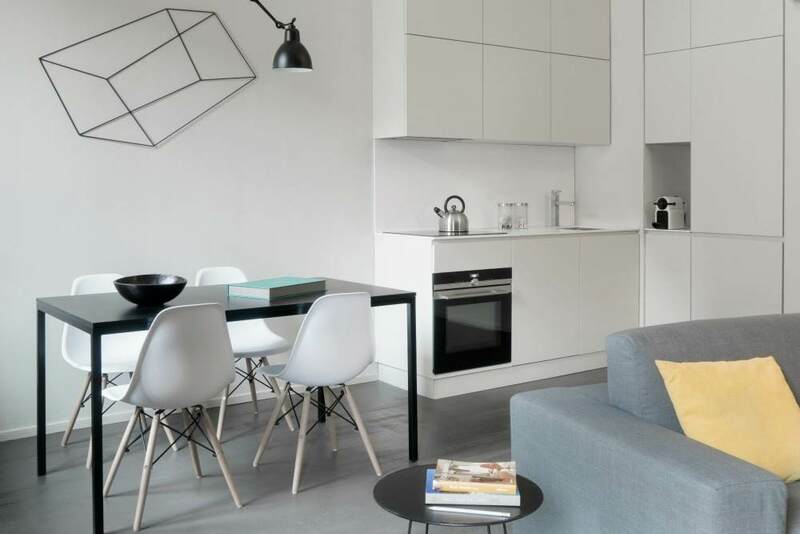 The starting point is our Pioppette Apartment, a few meters from the San Lorenzo Columns and the Parco delle Basiliche. Once settled your luggage, wear comfy shoes and get ready to go out: let’s begin the exploration! 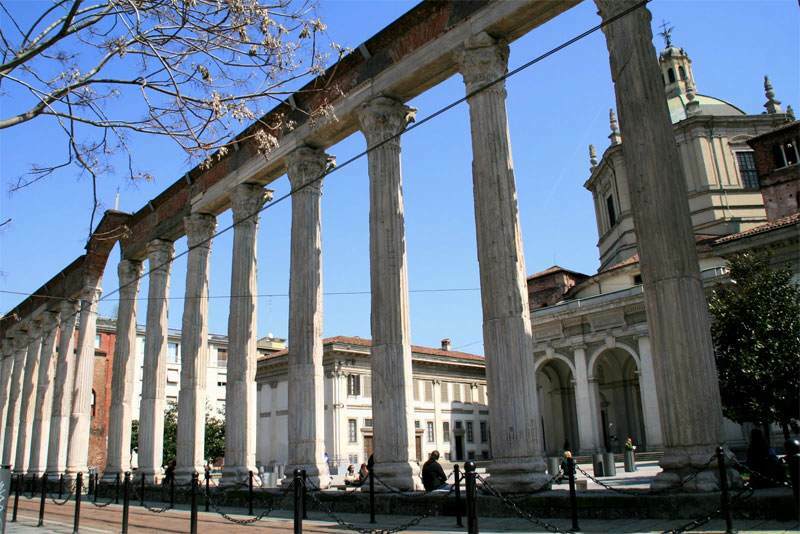 Just a few steps out of the Pioppette Apartment there are the Columns of San Lorenzo, that date back to the late Roman period. In front of the columns, on the opposite side of the square, there is the Basilica of San Lorenzo, one of the oldest churches in the city, whose construction started in the V century. During the day you can stroll along Corso di Porta Ticinese, rest in the shade of the columns or go shopping in the many shops in the area. But starting from the happy hour, the Columns of San Lorenzo become a gathering place to spend the evening. 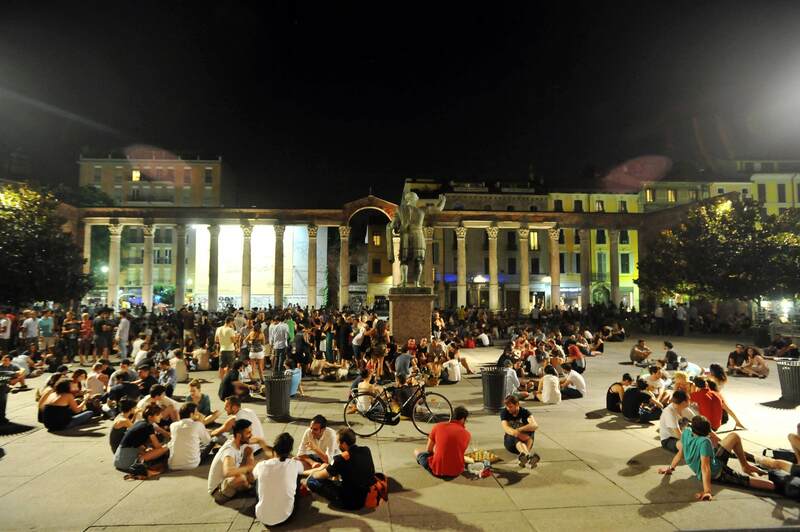 In particular during summer, every night the square comes alive and the many bars around it are full of young people from across the city. Continuing on foot along Corso di Porta Ticinese, you arrive in a few minutes in the homonymous Porta, in Piazza XXIV Maggio. In the occasion of Expo 2015, the square had been renovated and redeveloped, returning to its former glory. 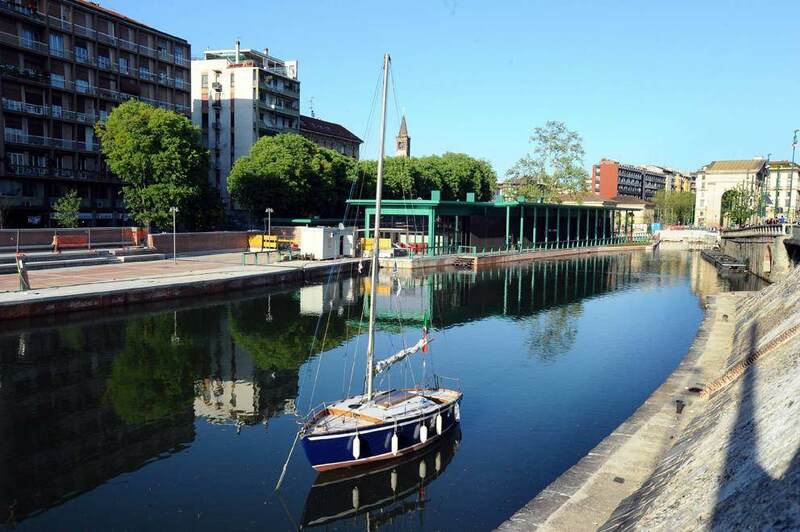 After some years, in effect, the Darsena, ancient port of Milan, has become again filled with water and navigable. On sunny days, with a little imagination, it will seem almost to be at the lake! Leave Porta Ticinese behind you and you will arrive at your destination: from the Darsena, in front of you, the two Navigli divide themselves! 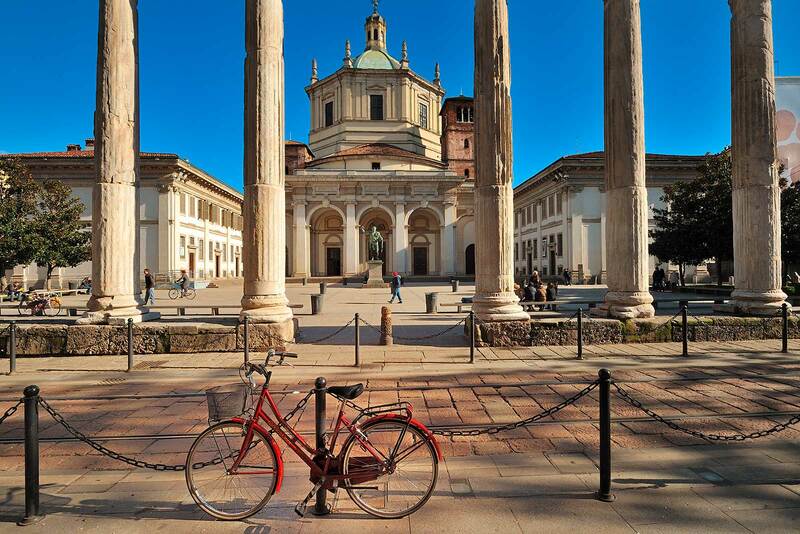 The numerous bars and restaurants, the shops and the beauty of the typical Milanese buildings, make the area much loved by tourists and locals. 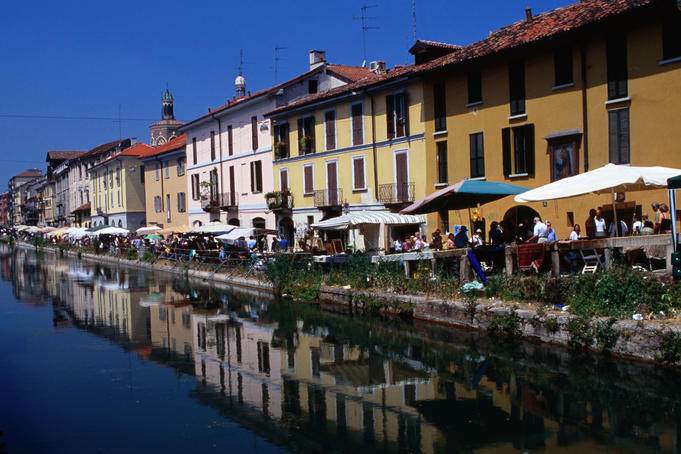 The banks of the Naviglio Grande and the Naviglio Pavese, in effect, are populated by many people walking the pedestrian streets. 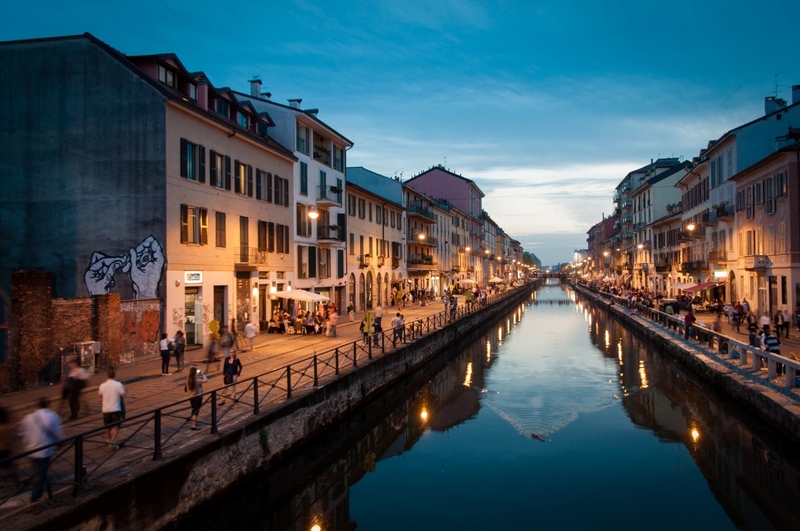 The unique atmosphere on the Naviglio Grande made the Ripa di Porta Ticinese, the road that runs alongside it, be put in the list of the 12 most beautiful streets in the world by the New York Times. By nightfall, with the colours of the sunset, the Navigli assume an incomparable charm. If you want a drink as an aperitif or after dinner, in the Navigli area there are some of the best cocktail bars in the city. 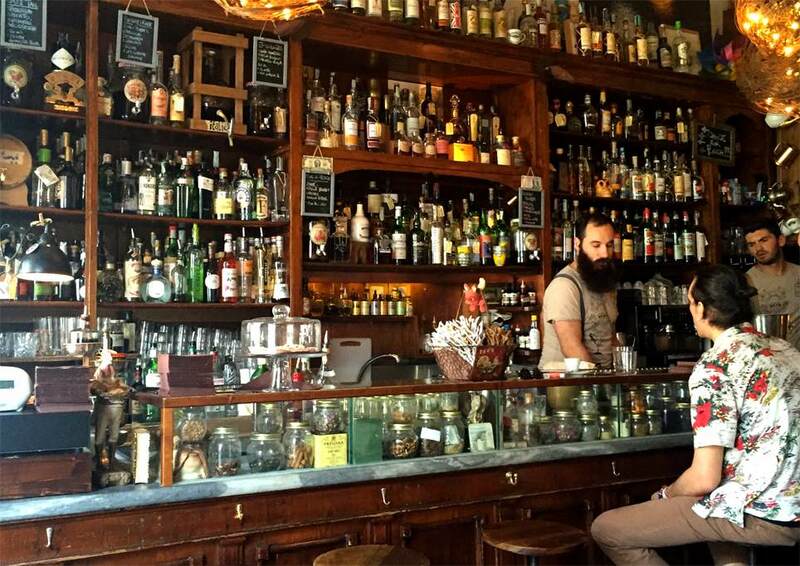 For example, the Mag Café will serve you unique cocktails in a place with a Parisian taste. The Navigli have always been well known for their distinctive themed markets. 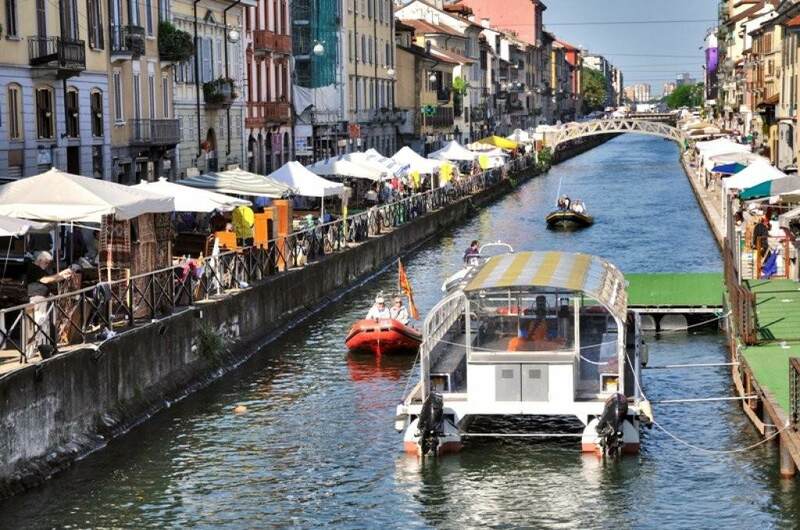 For example, every Saturday on the Naviglio Grande you can find all day long the Fiera di Sinigaglia, the historic flea market. The Fiera di Sinigaglia is the oldest of the flea markets in Milan, with origins dating back to 1800. But the fair is not the only market on the Navigli. The last Sunday of every month, for example, you can always find a special deal among furniture and antiques at Mercatone dell’Antiquariato. For now our journey ends here. Waiting to discover together the next stop, let’s be seduced by one of the finest districts in Milan. Porta Ticinese and the Navigli will delight you with their unique charm!